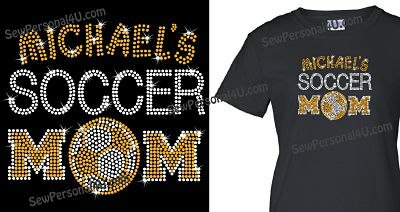 Bling Soccer Mom shirt will have the other team running for their sunglasses! Fun shirt sparkles like crazy and can be customized for to include your school mascot name or town name. 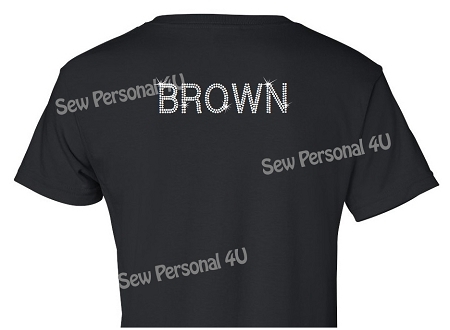 Shirts are black t-shirts, ladies sizes are contour cut.